For privacy reasons YouTube needs your permission to be loaded. For more details, please see our Privacy Agreement. 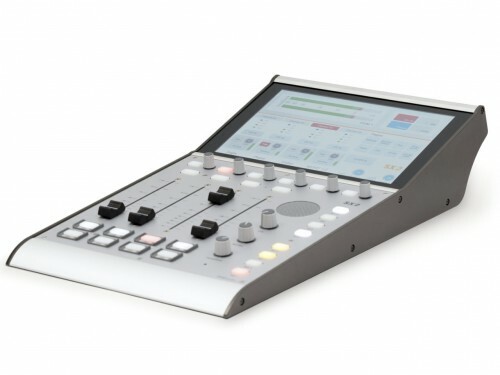 Both modules feature a 10.1″ multi-touch display for faders and central control. All modules are separate table-top devices. Each fader module comes with a chaining kit for optional physical connection of modules.The SX2 modules are designed for easy maintenance and low power consumption. 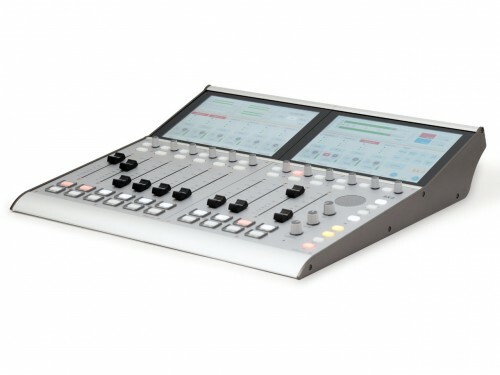 The SX2 Bundle (52-1998) is a complete 10-fader mixing console for radio broadcast applications. 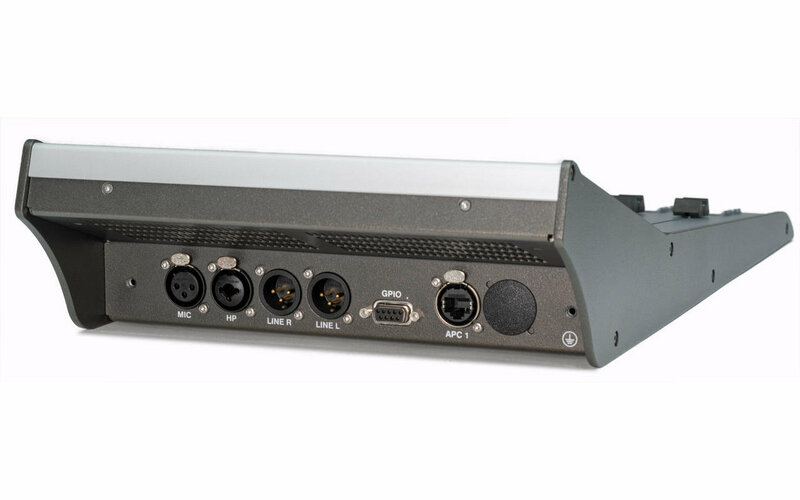 The package contains the central module (52-5614) with 4 motor faders, a fader module with 6 motor faders (52-5620), the I/O core (52-1830), a Multi I/O Box (52-1335), a power supply and all necessary cables. The bundle will be delivered with a default system configuration. It can be adapted with a simplified version of the Toolbox9 software called “SX2Config”. The 52-1950 Extended Feature Upgrade licence allows to use the Toolbox9 for detailed configuration and creation of specialised TFT views. The central module provides the most important audio I/Os. A microphone input and a headphones output are included, and you can also connect your loudspeakers directly to this unit, thus reducing necessary rack space and cabling work. The DHD I/O Core 52-1830 combines DSP processing for up to 16 faders and I/O interfaces in one housing. 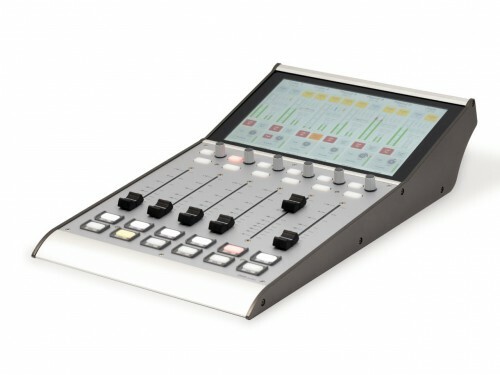 In only 1 rack unit, you find the audio interfaces that are required for journalist desks, edit booths or small studios. Easy connectivity is the strong point of the I/O Core. Microphones, headphones, line and AES3 signals can be connected to standard XLR ports. Also USB audio and Toslink connectors for ADAT or S/PDIF are included. Additionally, multi-channel options for MADI, DHD‘s Gigabit Audio and APC are available.